As the calendar edges closer to Christmas, chances are you’re rushing to finish shopping. From the parties and events, to the family activities and travel, your days are busy from sun up to sun down. 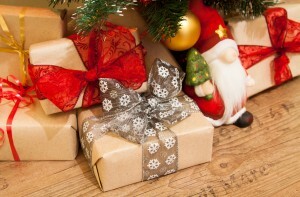 Let us take some of the headache of the holidays by handling your gift needs. With almost 20 years in business, we can provide items for everyone on your list. Whether for your guy or gal, we’ve got boots in every style and fit. From classic to class-act, we’ve got something for every taste. Don’t know their size? That’s okay. If they’ve purchased from us before, we’ll have their size on file. And if for some reason the boots you purchase are the wrong fit, you have 30 days to return the item. Cowboys and cowgirls come in all shapes and sizes, even the pint-sized version. Make your little one feel extra special with a unique pair of our kid’s boots. We stock Anderson Bean, Macie Bean and Olathe boots for kids. And with options from patchwork to flowers to zig zags, you can get them a boot as unique as they are. We are here to help alleviate a bit of the holiday shopping stress. Looking for something special? Call us with your questions. Not sure which boot to buy? A Logan Western Supply gift card might be a better option. Whatever your holiday gift needs, we look forward to helping you this Christmas season. We hope that in the hustle and merriment, you take time to enjoy this special time of year with the ones you love. Merry Christmas to our friends and customers!